Why NoNo? Because we say No to Gluten! No to Nuts! No to Dairy! No to Egg! No again to Artificial Colouring, GMO & Preservatives! No Hidden Sugar! No Cholesterol! and, No to compromise on quality & taste! We proudly say No to Exclusion, Discrimination, Bullies... we offer a work opportunity for people with special needs like my son, single mums, carers and more. Functional Food Company are a small family business whose ethos is to produce ethical, healthy food that contributes to a balanced diet. They initially started creating healthy treats as a way to manage their health, then shared them with friends, and now want to share them with everyone. 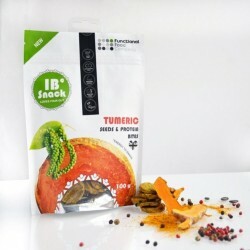 Their selection of Superfood Truffles and other healthy snacks are made lovingly in small batches, using 'functional foods' which are rich in minerals, vitamins and antioxidants. Perfect for those on special diets such as sufferers of IBS, ASD, CFS, those with allergies or just anyone who wants to improve their health! 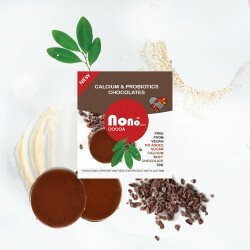 Their beautiful Nono Superfood Truffles won bronze at the FreeFrom Food Awards 2017.